Pure Spirit's very own Marilyn Tokach is Talk2theAnimals resident expert dog training. Listen LIVE to her segment the second Tuesday of every month at 8PM. Or catch up on archived broadcasts here. You won't want to miss a single episode! 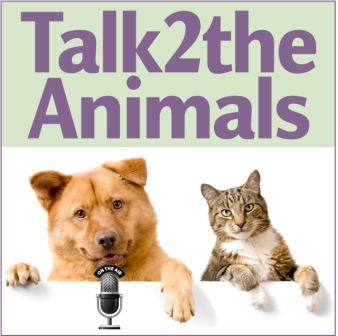 Tune in to Talk 2 The Animals Radio for excellent news and information on all things animal! In this episode dog trainer, Marilyn Tokach, shares tips and ideas on how to keep your canine companion safe, healthy and happy this holiday season. December 2012. In this episode expert dog trainer, Marilyn Tokach, gives an early Thanksgiving appetizer on the many ways we can be thankful for our dogs. November 2012. In this episode Expert Dog Trainer, Marilyn Tokach, reminds us to keep our dogs (and all pets!) safe over Halloween, and shares tips which ensure a safe, Happy Halloween for all. October 2012. In this episode expert dog trainer gives tips on how to keep your dogs safe and calm over the 4th of July - Fireworks and Thunderstorms. July 2012. Marilyn comes on at about the 32:00 minute mark. In this episode, expert dog trainer, Marilyn Tokach, shares the most common question she's asked as a trainer: "How do I get my dog to __________?". June 2012. In this episode, expert dog trainer, Marilyn Tokach, speaks about the importance of having a confident dog and gives tips on how to build your dog's confidence. May 2012. In this episode expert dog trainer, Marilyn Tokach, talks about selecting the right dog park for your dog and how to ensure everyone has a safe and fun time. April 2012. In this episode, Marilyn Tokach talks about winter exercise for your dog. February 2011.